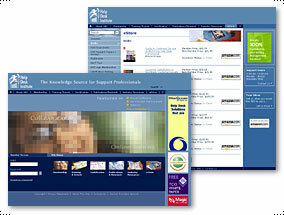 Developed as Creative Director and Designer on the visionbox team, this site was challenging in many regards. The solution required a major restructuring of content and the design needed to encompass a non intrusive way to incorporate its many advertisers. The design solution allows for intuitive navigation and content placement giving focus to HDI's wealth of support information while still allowing prominent placement for its valued advertisers.